Well now, I know I said there would be more non-electronic music on the blog from now on, but I don't want it to be one way or another. There will be more, and less, and more and more, but for this one, less, I you see where I want to get around at. I discovered this album yesterday. At first I thought it sounded like psybient, but then I realised it was blended with pretty groovy bouncy 8-bit sounds. So there was no other word for it than psybit. Try it, lord it, share it. Edit : In fact, after a few more listenings, this is more like chillbit. Enjoy anyway. Re-Edit : Some of you may have noticed that this release is not free anymore on Bandcamp but is worth 7$. 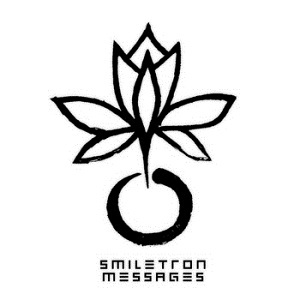 I contacted SMILETRON and he said this is due to bandcamp periodically running out of free downloads. He gave me the Soundcloud link to get the songs one by one, and also said that the download on Bandcamp will be free again soon. Here's the link.